Pilgrimage is essentially an act with an existential and religious aspect. 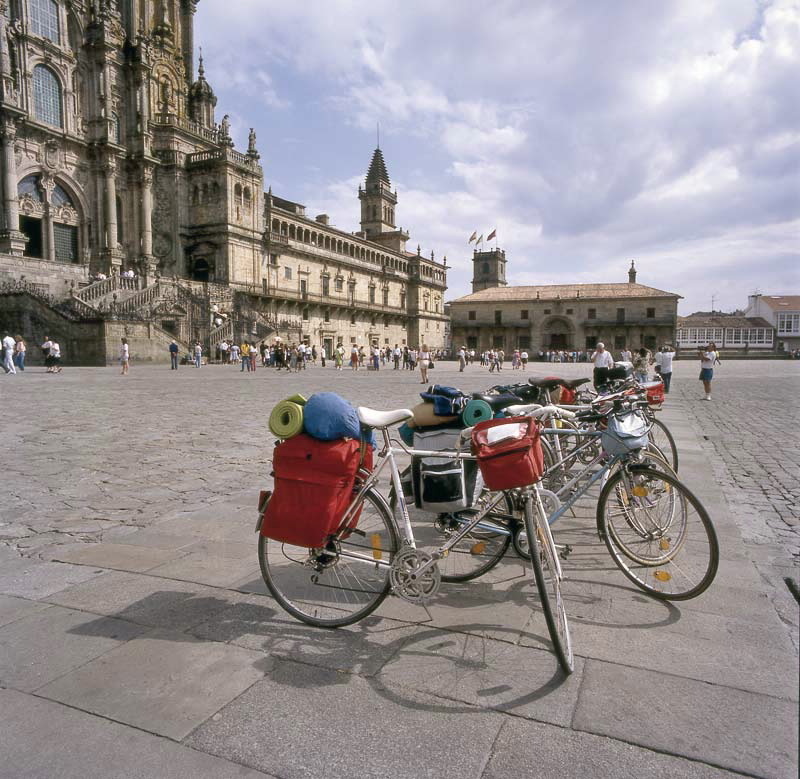 But nowadays, the Road of Santiago is a route open as much to pilgrims as to walkers who come to discover new, attractive elements such as art, culture and contact with towns and customs. The Road of Santiago, classified as First European Cultural Itinerary in 1987 by the European Council and declared World Heritage by UNESCO in 1998, is a journey of initiation that leads into the heart of Galicia through settings that take us back to Medieval Europe. On foot, by bicycle or on horseback, we are travelling pathway laid down by the mark of men throughout history and one of humanity's most-travelled roads. The different monumental sights are a complete artistic pleasure: thatched huts and the monumental site of O Cebreiro, Monastery of Samos, Sarria old quarter, Church of Portomarín, Romanesque Church of Vilar de Donas and Melide cruceiro (stone cross), are just some of the countless architectural treasures that culminate in Santiago de Compostela's old quarter. O Cebreiro is a beautiful rural town,a major stage on the Road of Santiago, located on the LU-633 highway on the border between Galicia and León province. This route is generally completed in one go, for reasons that go beyond the pathway itself. It is recommended to pack a rucksack well, although it is easy to find provisions along the way. 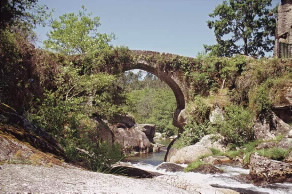 O Cebreiro, Triacastela, Samos, Sarria, Portomarín, Palas de Rei, Melide, Arzúa and Santiago de Compostela. It is not necessary to travel the Road to earn the Jubilee. You just have to visit the Cathedral in any Holy Year (when the 25th of July falls on a Sunday) and make a prayer, confess and receive Holy Communion on any day between the 15 days before and after the visit. 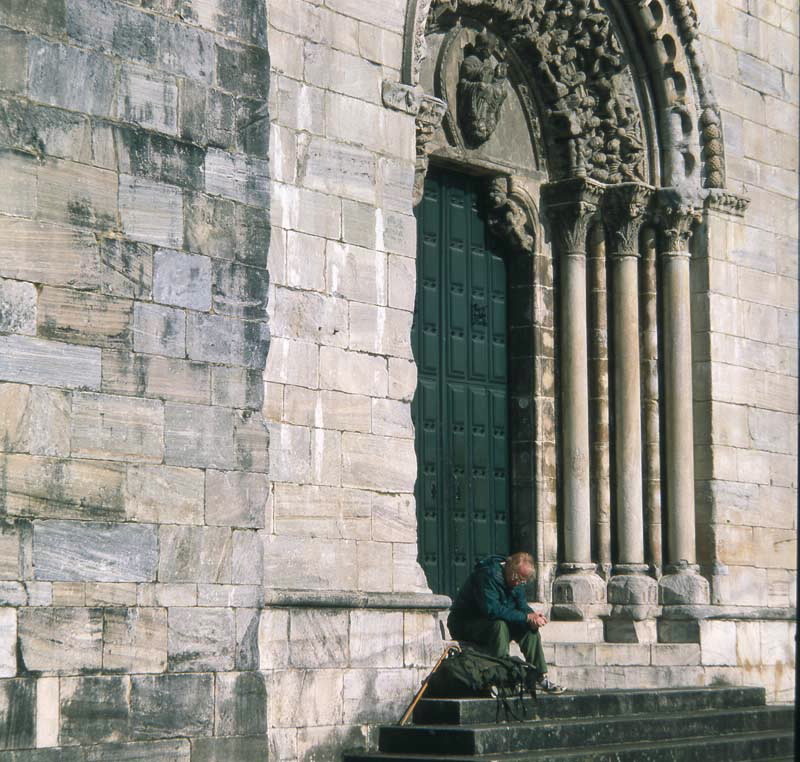 THE COMPOSTELA is the certificate awarded by Santiago Cathedral to whoever makes the pilgrimage for religious reasons (whether or not it is Holy Year). To earn it, you have to travel part of the Road on foot, by bicycle or on horseback and verify it in your arrival (100 km on foot or horseback or 200 km by bicycle). In all the towns that the pathway runs through. O Cebreiro, Hospital da Condesa, Triacastela, Calvor, Sarria, Barbadelo, Ferreiros, Portomarín, Gonzar, Ventas de Narón, Ligonde, Palas de Rei, Mato Casanova, Melide, Ribadiso, Arzúa, Sta. Irene, Arca, Monte do Gozo. 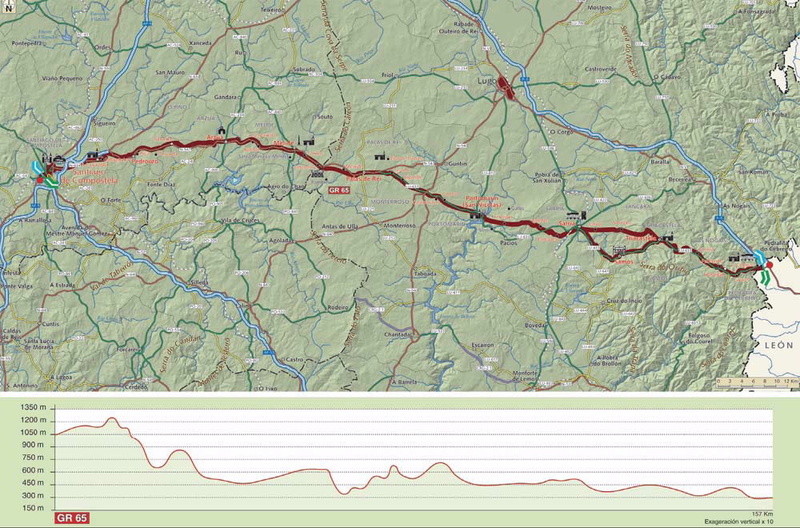 Five days in excess of 30 km.